How do supermassive black holes flare? This diagram shows how a shifting feature, called a corona, can create a flare of X-rays around a black hole. 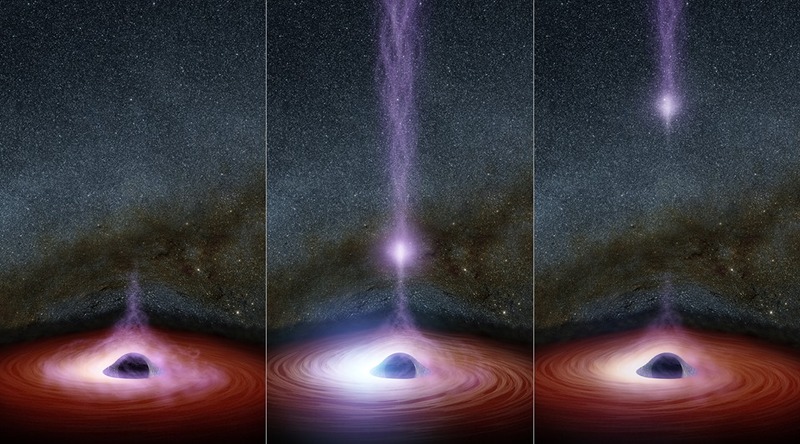 The corona (feature represented in purplish colors) gathers inward (left), becoming brighter, before shooting away from the black hole (middle and right). Astronomers don’t know why the coronas shift, but they have learned that this process leads to a brightening of X-ray light that can be observed by telescopes.